Brand-new and very bright 1 bedroom apartment in a recent modern building, facing the quiet courtyard. Light living room with a dark brown leather couch (sofa double bed), table and chairs. Very modern kitchen with electric oven and dish washer. The bedroom has a double bed, a wardrobe and a chest of drawers. The bathroom with shower and bidet. 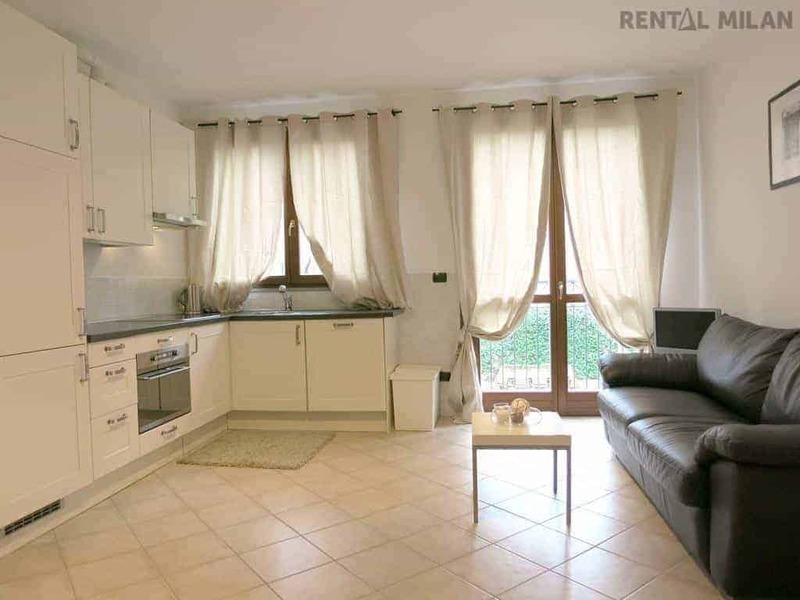 Close to the metro station Famagosta M2 (9 minutes walking), 20 minutes from the center (Piazza Duomo) directly by tram. You can very easily reach the main universities by public transports: Bocconi, NABA and IULM are just 15 minutes by tram. But it’s convenient for Cattolica as well, thanks to the metro nr 2 line.